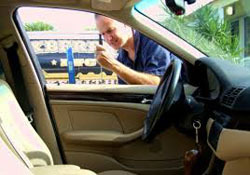 Auto and truck lockout in west los angeles lets say you have been having a bad day and you are at a store buying groceries and you do not notice that when you closed and locked your car door you left your keys sitting right on top of the seats and now you do not know what to do that is where we come in we have many services and lock out auto is one of them. We have roadside, towing and winch out service so you will not need to go and call 3 different companies to see if they do the services we do we are just one call away. Our roadside includes the lock out auto, jump start, tire change, gas delivery, and battery replacement. Our west la towing service has 2 types of toe trucks always ready to assist your vehicle we have a wheel lift and a flatbed the wheel lift will lift the car from the front or from the back 2 tires you will need a tow truck if the vehicle is stuck in a parking structure or if the vehicle will not go into neutral the flatbed will lift the vehicle up on to the bed of the tow truck where it will not be touching the ground you will need a flatbed if you have a luxury vehicle, a motorcycle, an all wheel drive, or a vehicle that is low to the ground. And then we have our winch out service and that is when you get your vehicle stuck in mud, dirt, sand, grass, on a curb, a pot hole, etc we will then send you a tow truck to go and they will lift and pull your vehicle out until you are able to get back on the road with out getting stuck again. We service any type of vehicles from light duty, medium duty, and heavy duty pretty much any vehicle we can tow. 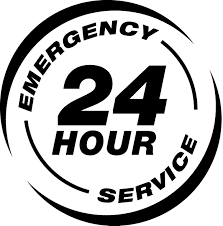 We are also available at any time since we are open 24 hours a day 7 days a week so what are you waiting for call us today at (310) 513-5499.